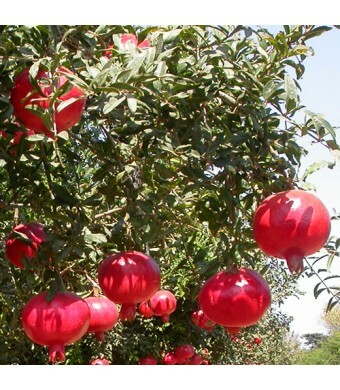 The Wonderful Pomegranate is known for its plentiful juice and tangy sweet taste. The arils of the Wonderful are a bright ruby red color which contains powerful antioxidants, vitamin C, vitamin K, and fiber. They are great for snacking and in use for recipes. The tree is ornamental and makes a beautiful addition to your yard or as an indoor tree. They are best kept in a well draining soil such as a Cactus or Citrus Blend. Pomegranates are deciduous trees so they shed their leaves in the fall after harvest. They are also better kept in full sun for best fruit production. 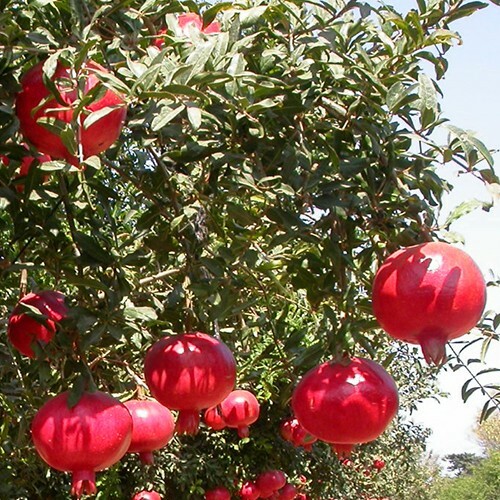 The Wonderful Pomegranate can be planted in zones 9-11 and are best kept as a container tree in zones 5-7. Wonderful Pomegranate Trees blossom in the Spring. It should be noted we do not ship with fruit on them. With a juvenile tree, we recommend foregoing fruit the first year or two to allow the tree to become more established and able to bring fruit to production. Click here for our Wonderful Pomegranate Tree Care Guide.